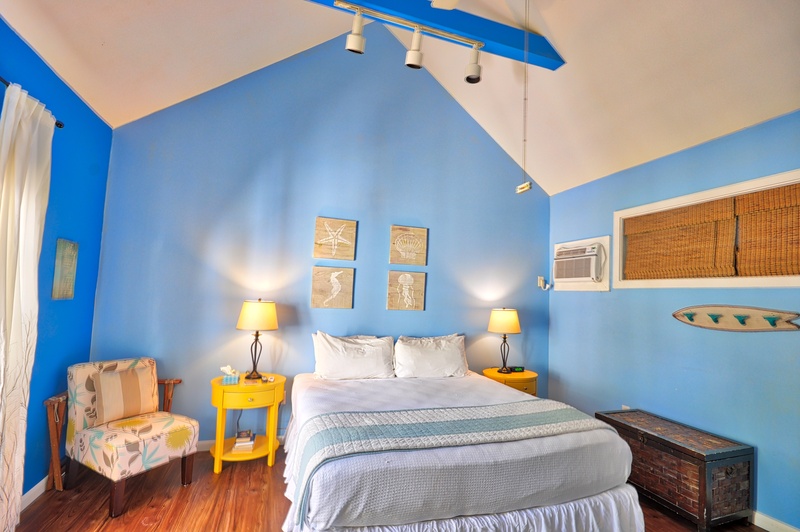 Located in The Colony, a secluded compound just steps from Duval Street, Colony Sunset is a colorful and relaxing retreat. 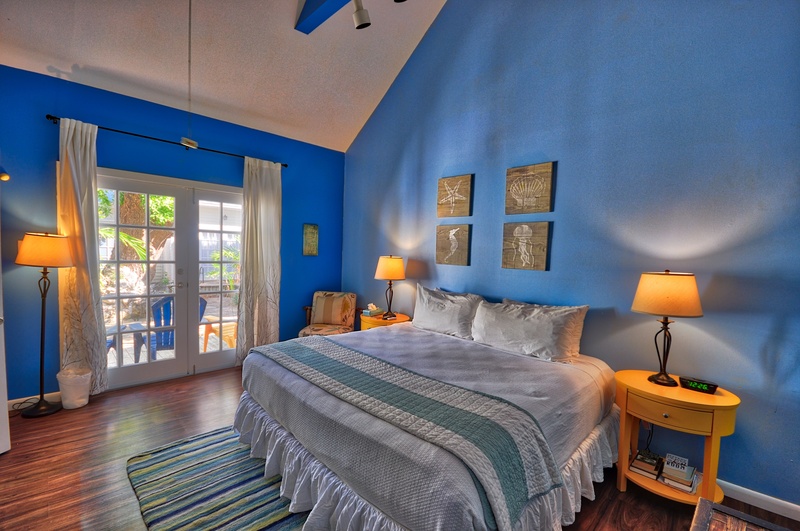 Walk up the flagstone path and enter the home through the vivid and cheerful living space, accented with cerulean blue walls and splashes of tropical art. A vaulted ceiling with exposed beams and huge transom windows that extend all the way to the tip of the roof add a bright and airy feeling to the cozy space. Just through the French doors lies a private deck for sunning, relaxing, grilling and al fresco dining. The fully appointed kitchen is attached to the living area and features a sit-down bar, charming open shelving and a bright tangerine color scheme. 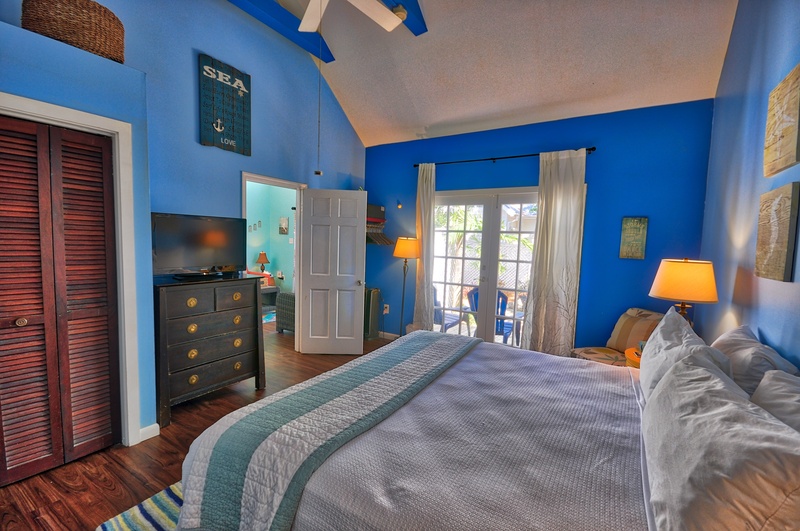 The bedroom is painted in soothing blue tones and features cathedral ceilings, a king size bed, and flat screen television. 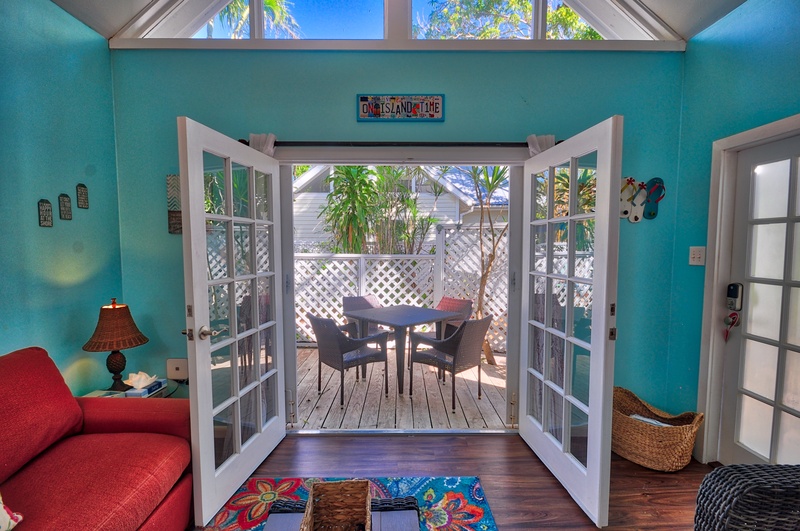 Just outside the front door is a porch with Adirondack chairs for enjoying a morning Cuban coffee or a twilight glass of wine amongst the palm trees. The huge Colony swimming pool, which is shared with other residents, is located just steps away. Beaches, shopping, and award-winning restaurants are just a short walk or bike ride from your front door. 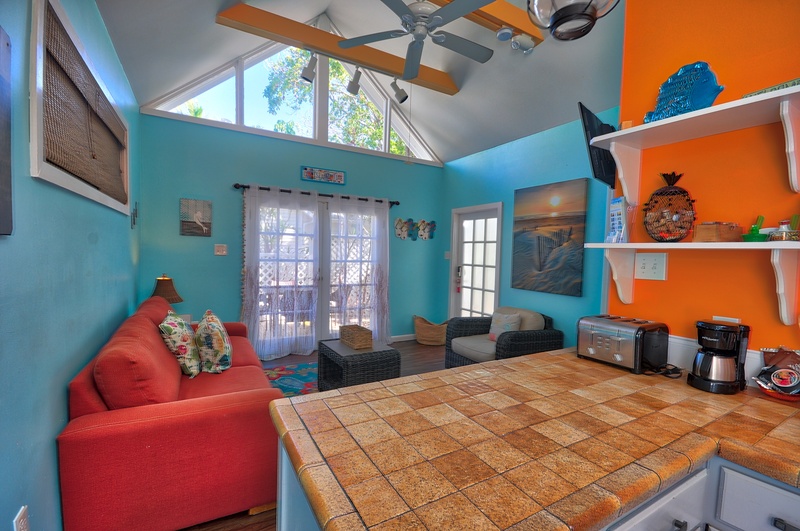 If you are staying with a large group, please note that Rent Key West Vacations has two other similar properties to rent within this compound- Colony Calypso and Colony Poolside. Pet friendly- 40 lbs or under. Additional fees apply. Absolutely loved this little gem. Just a short walk to Duval or the marina. The only downfall is the parking situation. Will definitely look into staying here again. The suite was wonderful. Great location, nice swimming pool, would definitely stay there again. My wife and I have stayed in Key West many times. We wanted to find a place that was dog friendly and found this place. It's 2 blocks off of Duval St and a little more than half way down toward the south end, one block over from Truman. We absolutely loved our stay. The condo was well done up and equipped. The bed was fantastic. My wife wanted to take it home! A short cold spell came thru when we were there and they had 2 space heaters to take the chill off which came in handy. They say the pool is heated but it was a little on the chilly side. Also, there was no gas grill but that was fine because there are so many great places to eat that we never got around to cooking. What is also nice is that it was very quiet and no roosters to wake you at 5 in the morning. We can't wait to come back and stay again. Great time,great accomodations, great staff! We stayed in the Sunset suite in March 2019. The suite is spacious and well equipped. The complex was quiet and the pool water was very clean/clear. There was private parking for cars and scooters. The complex is a little farther southeast of where we usually stay. We like to be closer to Mallory Square so we can walk around in the evenings. But having scooters allowed us to travel anywhere. 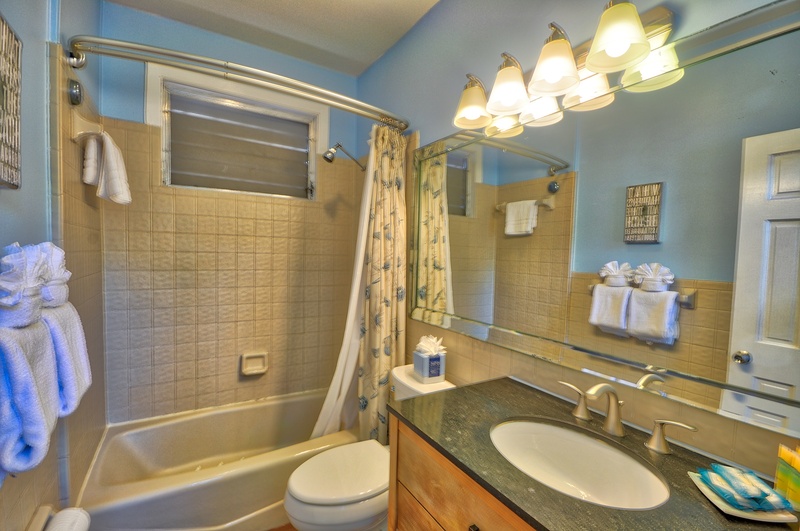 The suite and property is clean and well kept. I cannot say that things were "spotless" but one needs to keep in mind that Key West is a tropical island so there is always lizards, small bugs, mildew, falling/dead foliage, etc. to contend with. The complex did a good job of keeping up with maintenance and housekeeping. We'll definitely stay here again. Over this was a very good experience. 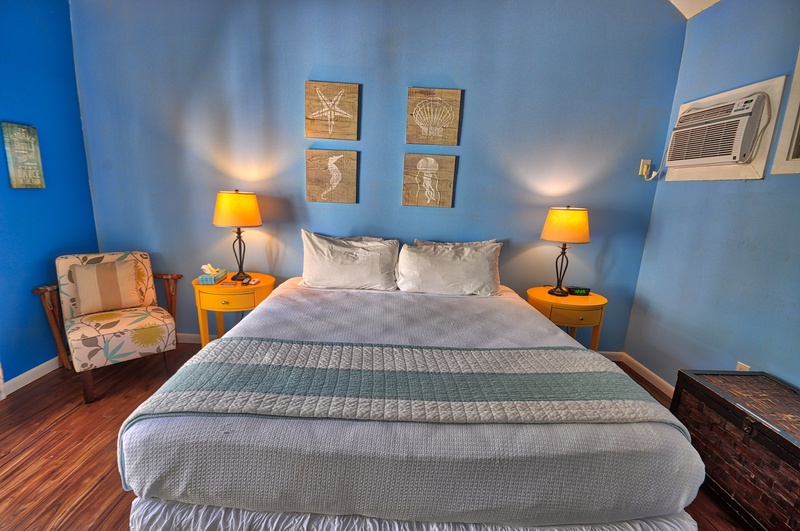 Efficient and helpful booking through the Key West Rentals office ( the people there are REALLY nice and experienced and helpful) and a nice clean comfortable cottaage in a little compound by a nice clean pool. Perfect weather during our two week stay made the whole experience great. We enjoyed the location, helpful that it's just a short walk away from one of the Duval Loop bus stops (a free bus service). TV in living area way to high on the wall. TV's have seen their better day. Couch could be replaced. A little worn out. Pool very nice. Glad we stayed here. My husband and I loved this property! It was so colorfully decorated, close to everything, clean and cozy. We loved the cathedral ceiling and overall layout of the suite. We especially enjoyed the private terrace and also the front porch! The property management company was friendly and helpful with our requests and very attentive. They went above and beyond to make our stay enjoyable! We hope to stay here again in the near future. Great location. Private suite. Shared pool. Laundry on-site. Thank you for your wonderful review! 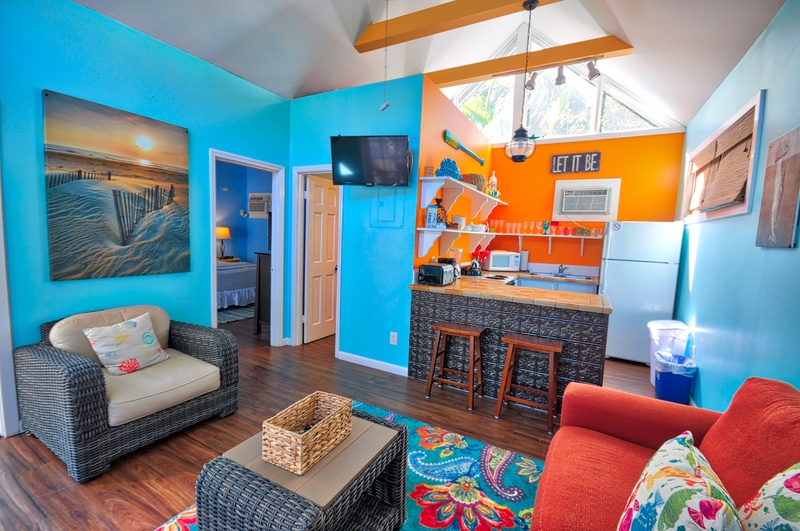 We are very happy to hear that our staff and Colony Sunset met your needs and expectations. We look forward to you staying with us again! We had the best time. The cottage is the perfect size for a couple. We enjoyed having the kitchen so we could make breakfast or lunch. 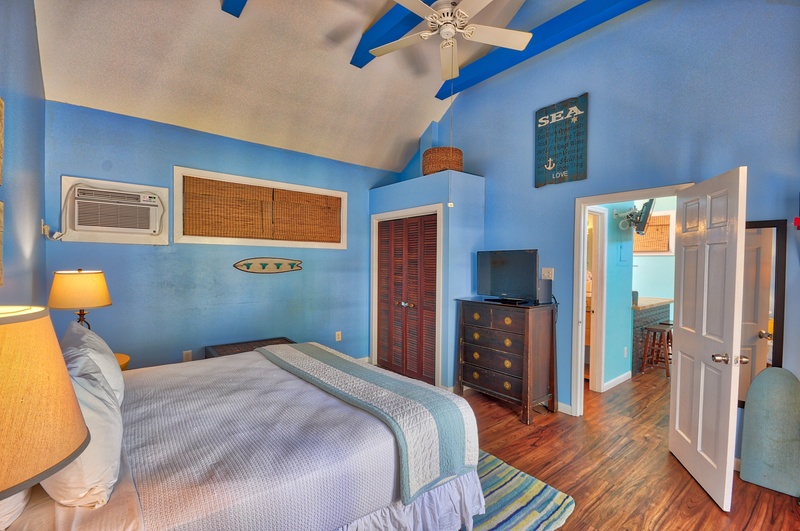 The location is convenient to Duval and other attractions. We rented bikes and that helped us explore more of the island and beaches. I would recommend this unit to anyone looking for a fun little getaway. 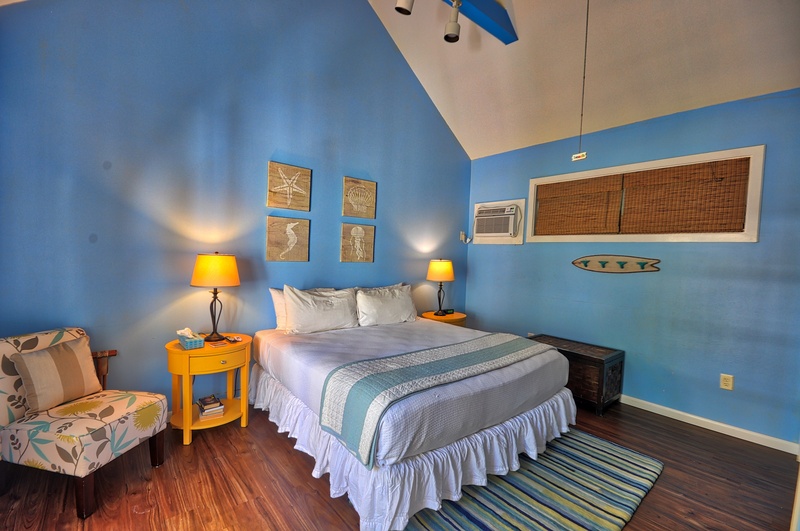 Clean, comfortable, really nicely decorated, and the Colony is an awesome location. I love Olivia Street.Pool is great. Third time I've stayed at the Colony. Can't wait to go back. Very nice place over looking pool but would rent another unit with back patio (just me). Location is good but on one way st. kind of a pain until you learn area.